Since 2007, Simon Clegg has become an established civil-fraud practitioner with experience of cases involving contrived road-traffic collisions, low-velocity-impact (LVI) and fabricated employer’s liability claims. He acts on behalf of defendant insurers in cases where fraud is positively alleged as well as in suspicious cases where a robust defence is required. His involvement in such cases reaches from pre-issue advice to drafting pleadings, interim applications and appearance at trial. He regularly undertakes conferences in order to proof insured drivers, engineers and witnesses. 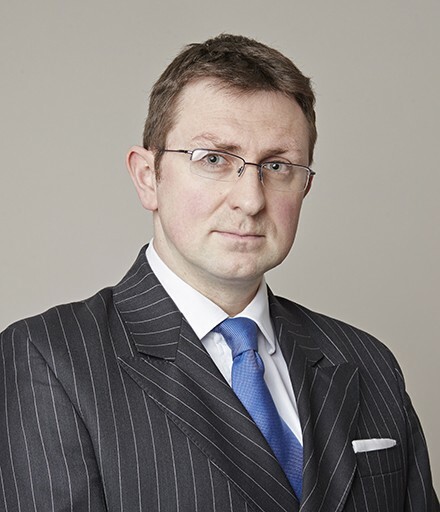 Simon Clegg is a busy civil practitioner, receiving instructions from both claimant and defendant firms. His personal injury (PI) experience includes fast-track and multi-track work, and he has come to specialise in clinical negligence, credit hire and both jury and non-jury inquests. Simon regularly provides advice to child claimants in respect of damages. Smith v Burney – Appeal on admissibility of internet spot-hire rates. Simon Clegg undertakes a variety of criminal cases, building a substantial practice specialising in fraud and confiscation proceedings. He is a Grade-4 prosecutor and is regularly instructed by a number of prosecuting authorities, such as the CPS (including the Department of Rural, Health and Welfare), HMRC, Central Fraud Group North, the Health & Safety Executive, the Department for Business, Innovation & Skills and the Environment Agency. Simon is also experienced in EPE (electronic presentation of evidence). R v Lowe  EWCA Crim 2094 – relevance of admissions of drug supply falling outside dates on charge. Leading Junior in 2017’s Legal 500 for Regulatory and Health & Safety and is a B-List Specialist Regulatory Advocate. Simon Clegg prosecutes and defends in serious cases brought by the Environment Agency, Health & Safety Executive and local authorities. He often provides pre-charge advice in relation to large-scale operations. Since 2012 Simon has been a panelist advocate for both the EA and HSE. R v A and others: Junior to David Brooke QC in on-going ten-handed prosecution relating to the illegal depositing of waste. R v Douglas: Prosecution of waste activities culminating in a large fire which led to parliamentary involvement. R v C Ltd: Defence of company following serious injury at workplace. R v B: Defence of landlord in relation to dangerous residential premises. R v Atkinson: Prosecution of incompetent and unlicensed gas-fitter who created risk of carbon monoxide poisoning. R v Letterbox: Prosecution of company following serious injury caused by dangerous machinery. Craig Hassall, Simon Clegg and Kate Bissett have all accepted the Senior President’s offer of appointment to sit (part-time) with immediate effect. Teesside Crown Court heard how the offenders travelled to mainland Europe to buy cheap tobacco before transporting it back to the UK through legal couriers. Over a twelve-month period, they imported over six metric tonnes of tobacco, evading duty of over £1.1 million.